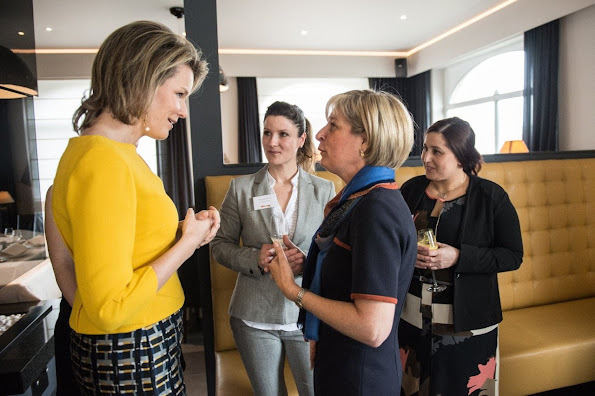 On February 18, 2016, Queen Mathilde of Belgium attended a lunch organized by “Markant” which is the enterprise network of all women at Herbert Robbrecht Restaurant. 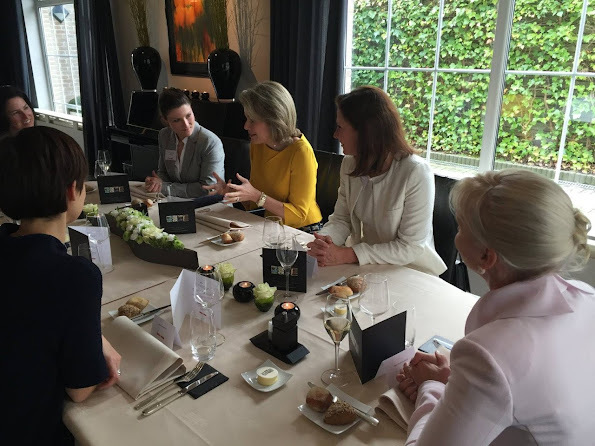 The theme of the meeting was “A discussion about the use and necessity of innovations”. I'm not such a fan of the yellow in this instance-- but that skirt is beautiful. 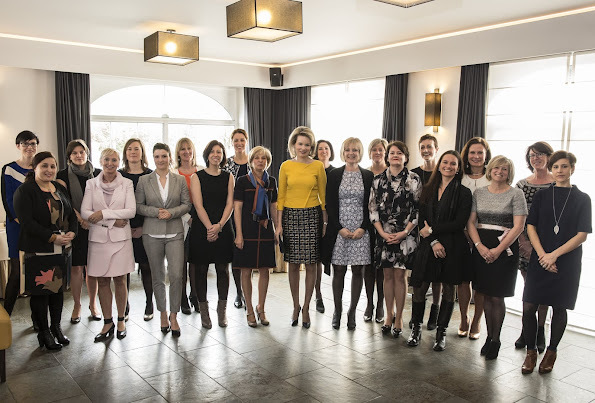 Queen Mathilde can wear a pencil skirt style like few others can; it's a style that suits her to a T.
True. Unfortunately, she often opts for skirts billowing around her hips. This one is excellent for her and she even can wear the yellow top. Rather unusual for blueeyed blonde women. She seems to work harder than her husband - he reigns but does not govern - his role is merely ceremonial. Today her hairdo looks exploded.